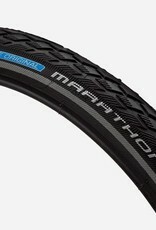 Take your bike the extra mile with the Schwalbe Marathon. 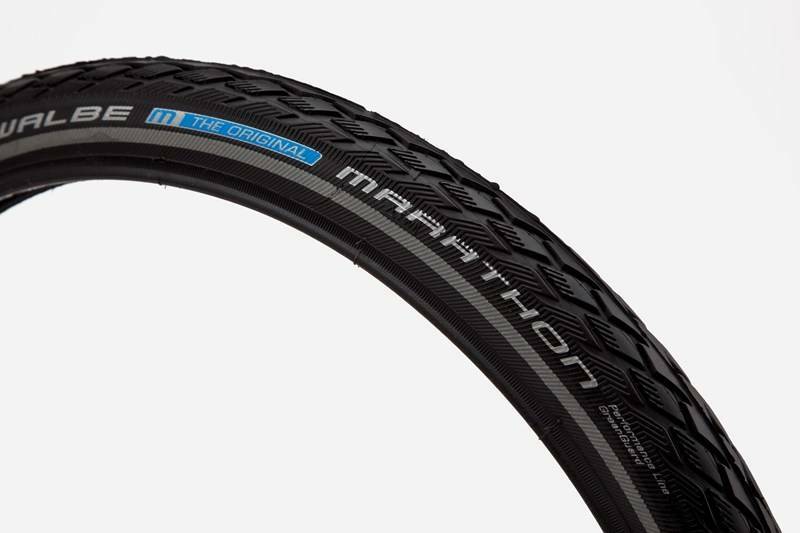 Especially equipped for long distances and fully loaded tours, the Marathon is a no-nonsense upgrade for any cyclist putting serious miles on. 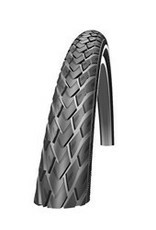 GreenGuard belted to offer extra flat protection, and a reflective stripe on the sidewall for increased visibility. 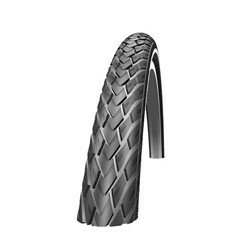 Great mix of performance minded efficiency and high mileage, flat tire resistant durability.